I Want To Write, But Where Do I Start? Writing is like a muscle. You have to use it, work it, grow it. Like any other skill, it can be learned but it take lots of practice. Nowadays, anyone can be “published” immediately through any social media, blog, or YouTube. Maybe you want more than that. Think and dream about what your purpose in writing could be. Is it to report events and activities or to educate others in NALS? Do you dream of writing the great American novel? Where do you start to do this? Start where you are. You could start quietly by journaling—just for you—and look at it later with “fresh eyes,” i.e., like you have never seen it before. Or be brave and join the editorial board of your local, state, or national NALS group. You will see lots of writing and get the hang of it. Be braver and consider writing for your local NALS chapter. Talk about something you know and tell us the story. You probably have something to teach or are an expert on something that has not been presented before and you could really help a lot of people. Suddenly, opportunities will appear. You might notice a topic that has not been covered in your local NALS chapter meetings or the NALS state chapter events. Maybe you have a different take on a topic or know an easier way to do something. Maybe there is a subject that you are curious about and want to learn more and would be interested in doing research and interviews to discover the answers to your questions. Others probably have the same questions and want answers too. Think of it as a puzzle. Basically, it is taking an idea and expanding it, giving it purpose. Sometimes purpose comes first or is in the publication’s plans—sometimes it comes after you work on your information for a while. Think about what you are trying to accomplish with your article. Are you trying to motivate, ask a question and get the audience to think, or are you just reporting? Writing is really about editing. What happens is that you write a while and let it rest, go back and look at it and edit. Repeat that process many times until you think it is your best effort and the article is complete. Your job is to make the words say exactly what you mean for them to say. That is where the work comes in. Sometimes the information comes to you fast and sometimes it does not. Sometimes the editing and rearrangement is clear and sometimes it is not. That is why deadlines help—whether they are self-imposed or from the editor of the publication. What are you afraid of—that you might be criticized? Okay. Think of it as an experiment. It usually takes many tries to succeed. Try again. Start simple and look for an opportunity to write a short article, just a paragraph to report about a class or event you attended for your local NALS chapter newsletter. Remember that those who were not able to go to the event really want to hear what you have to say. After producing several short reports, you will find that writing gets easier and you will soon begin to write longer pieces. One of the best books to have readily available is Strunk and White’s The Element of Style,  which is simple and beautiful, suggested by many colleges and law schools. But that brings up another good point—how to grow your skill. Practice. A lot of practice. This means you will need time, effort, and a recording device like a tape or message recorder, a computer, a journal, a notebook, or whatever works for you. You might need to schedule time to write. Serious writers write every day. (Can you imagine?) Some have an idea for an article and schedule 30 minutes a day and work on one section at a time. Some writers use free-style journaling by just letting the words flow and reviewing later to see what comes out of it. 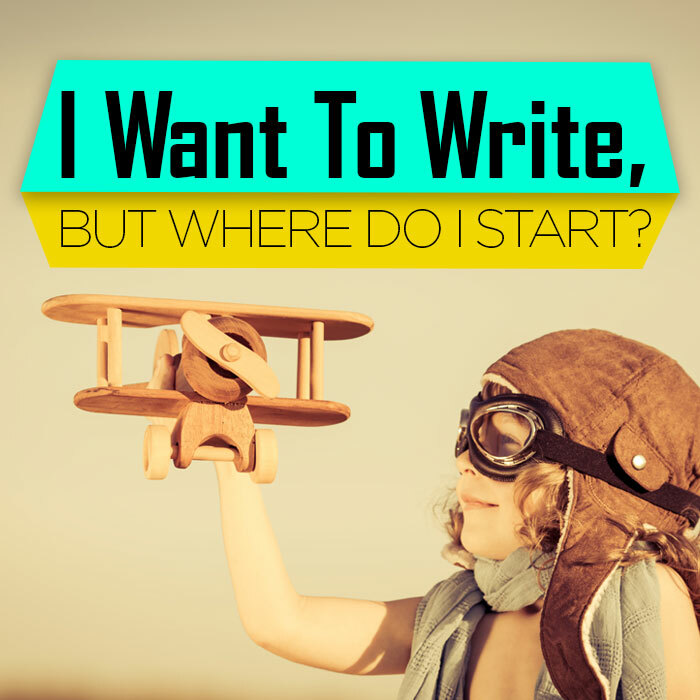 And there are writers that start with an outline or a question that they would like to answer. Having someone review and give real feedback (more here, less here, and asking questions like, “What did you mean here?”) is one of the most important parts of writing. Please understand that the editor’s and proofreader’s jobs are to make you look good. So you see, advice is always welcome. Do not take it personally. Your paper is not about you—it is a thing, a product to be polished enough to shine. It is good to have a filing system to keep your good ideas and build on them, to have a list of article ideas, to keep articles you are working on handy, and to hold your research. Some writers never throw out any writing that was edited out of an article, but recycle it into something else. This would be good if all your work is in one highly defined and unique area—like an expert! What are you waiting for? You can do this and you might surprise yourself and discover that you just need to build that muscle. I know you have something to say and there are plenty of us who want to hear it. Go for it! It is an adventure. Try it, then wait and see what develops from your effort. Allison Streepey, B.A., CRS, PLS, is the Business Administrator for the University of Arkansas for Medical Sciences (UAMS) Office of Educational Development. She has over 15 years’ experience in pre- and post-award research grants administration and in serving as the Senior Grants Administrator for the UAMS Office of Research and Sponsored Programs. She also served as an IRB Administrator in the Institutional Review Board office for the protection of human subjects in research. Her current legal experience involves federal and state grants and contracts, employment law, and federal research grants administration. Allison is thrilled to be a member of the NALS Editorial Board and enjoys reading all the articles and writing. 1 Sabin, W. (2010). The Gregg Reference Manual: A Manual of Style, Grammar, Usage, and Formatting Tribute Edition 11th Edition. New York City, NY: McGraw-Hill Education. 4 Strunk, W., & White, E.B. (1999). The Elements of Style. London, United Kingdom: Pearson PLC. With the advent of computers and the Internet, it has become harder to legally obtain copyrighted materials. The Digital Millennium Copyright Act of 1998 (DMCA) restricted access to copyrighted materials by outlawing circumvention measures and creating Digital Rights Management Provisions (DRM) to protect intellectual property on the computer. The DMCA1 also limited the liability for public forums, creating safe harbors for service providers if they comply with stricter rules for regulating piracy. For example, in order to qualify for safe harbor provisions, the service providers must make an effort to block access to potentially infringing material. They must notify the content provider of the infringing material before the intellectual property providers can take down the content on copyright grounds. It is essentially a race to locate the potentially infringing material before the other party. The winner of the race can claim immunity from liability by presenting the content provider with a cease and desist letter. These cease and desist letters have been used frequently in the digital world to stop piracy, but the intellectual property holders do not always differentiate between legitimate and illegitimate use of their materials. Fair Use2 is such an exception when it comes to the rule of illegitimate use. According to fair use, in order for a work to be non-infringing, it must be of a non-commercial or educational use, the portion of the work used must not be substantial, the nature of the work must not be unethical, and the market value must not suffer because of its use. 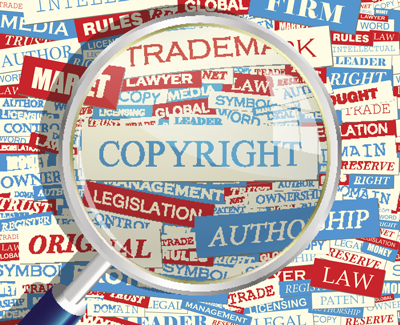 There are many instances where would-be infringers can claim fair use. For example, using an insignificant portion of intellectual property for educational purposes can constitute fair use under the law if the users are not profiting from their work (providing a review of the intellectual property may also constitute fair use if it acknowledges the original creator and does not use a significant portion of the property). A user can also claim fair use for an informative work, such as a top 10 list. A user can also attribute the work to the intellectual property owner through the Creative Commons3, an alternative to intellectual property protections, created by Yale professor and lawyer, Lawrence Lessig. The Creative Commons, https://creativecommons.org/about/, is a nonprofit organization that uses copyright tools and licenses in an effort to appease the intellectual property holders. It is an effort to reform intellectual property law to make it more feasible for content owners and community members. Wikimedia Commons, https://commons.wikimedia.org/wiki/Main_Page, is another resource for public domain materials4 (materials that are no longer protected by intellectual property laws). This is a media file repository vetted by the online community in connection with Wikipedia. The images and articles must be used in conjunction with verification tools because the online community is not always reliable. Vandalism can be a regular occurrence on the Wikimedia Commons. In order to verify that the images and articles are in the public domain, it is important to use origin tools, such as TinEye, https://www.tineye.com/. This site allows the average user to search for origin of the materials on the Internet.5 Based on the attributes, someone can then determine if the selected materials are infringing and if they require attribution. Many libraries, including the New York Public Library, also have public domain images that you can use freely without repercussions. These images are previous intellectual properties that have expired. Unlike the Wikimedia Commons, these images are verified and vetted by experts.6 The following link has more information about the collection: http://www.nypl.org/research/collections/digital-collections/public-domain. On video streaming websites, however, the line between infringing and non-infringing materials is not as clear cut. Channels like YouTube are notorious for blocking or taking down videos that are deemed infringing (without a proper investigation). They create bots or spiders to surf the web and collect possibly infringing materials, but these bots do not differentiate between legitimate and non-legitimate use. As a result, legitimate channels are blocked and the accounts are terminated. This has a chilling effect and stops would-be content providers from producing videos for YouTube. When legitimate users are targeted by bots and spiders from intellectual property owners, creativity can be stifled. The indiscriminate use of bots and spiders to control piracy can have a devastating effect on the online video community, especially when content providers are targeted for potential infringement when they are not liable. Technology has not evolved to the point that it can recognize the exceptions to the intellectual property laws. As such, it is not a reliable way to combat piracy without disrupting the activities of the community as a whole. It does not help that many channels like YouTube offer ways to combat false accusations of infringement. In order to have access to this remedy, content providers must have a good standing with the service provider. Otherwise, they cannot appeal a rejected complaint.7 The following link has the features associated with good standing on YouTube: https://support.google.com/youtube/answer/2797387?hl=en. In order to have good standing with YouTube, the content providers cannot have any copyright strikes or community strikes (strikes that are against the account not for infringement, but for gratuitous sexual content or violence). Content providers also cannot have a global Content ID strike against them (the bots and spiders identifying infringing material). This is easier said than done as a strike can derail a fledgling channel. In order for videos to be recognized for the same protections as images and articles, the technology has to catch up to the law. Until then, posting videos can be costly for new content providers. There is always the risk that the technology will be used to locate videos and falsely apply takedown notices to non-infringing content. In this case, the accused should make a good faith effort to understand the difference between infringing and non-infringing materials. They should also use verification tools to determine the protections associated with the materials. At least, then, they can attempt to argue that their material was non-infringing when they are hit with a takedown notice (difficult as the appeal may be to argue). Bryan Eichner is a paralegal student and a research analyst for REMCO Energy Solutions, where he assists with filing complaints, as well as locating rate cases from the Securities and Exchange Commission, the Federal Energy Regulatory Commission, and numerous Public Service Commissions. He works mostly in Administrative Law, but also has a passion for Intellectual Property and Family Legislation. U.S. Copyright Office, <http://www.copyright.gov>, “Digital Millennium Copyright Act of 1998: U.S. copyright Office Summary” December 1998, <http://www.copyright.gov/legislation/dmca.pdf. accessed on March 21, 2016. U.S. Copyright Office, <http://www.copyright.gov>, “More Information of Fair Use” March 2016, <http://www.copyright.gov/fair-use/more-info.html> accessed on March 21, 2016. Creative Commons <https://creativecommons.org/> “About” March 2016 <https://creativecommons.org/about/> accessed on March 25, 2016. Wikimedia Commons <https://commons.wikimedia.org/wiki/Main_Page> accessed on March 25, 2016. TinEye <https://www.tineye.com> accessed on March 25 2016. New York Public Library <http://www.nypl.org> March 2016, <http://www.nypl.org/research/collections/digital-collections/public-domain> accessed on March 26, 2016. Google, <http://www.Google.com> “Keep Your YouTube account in Good Standing” March 2016. <https://support.google.com/youtube/answer/2797387?hl=en> Accessed on March 27, 2016.